Product prices and availability are accurate as of 2019-03-30 12:41:22 EDT and are subject to change. Any price and availability information displayed on http://www.amazon.com/ at the time of purchase will apply to the purchase of this product. 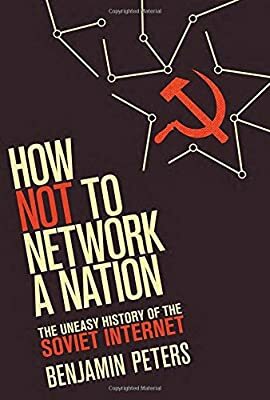 Between 1959 and 1989, Soviet scientists and officials made numerous attempts to network their nation?to construct a nationwide computer network. None of these attempts succeeded, and the enterprise had been abandoned by the time the Soviet Union fell apart. Meanwhile, ARPANET, the American precursor to the Internet, went online in 1969. Why did the Soviet network, with top-level scientists and patriotic incentives, fail while the American network succeeded? In How Not to Network a Nation, Benjamin Peters reverses the usual cold war dualities and argues that the American ARPANET took shape thanks to well-managed state subsidies and collaborative research environments and the Soviet network projects stumbled because of unregulated competition among self-interested institutions, bureaucrats, and others. The capitalists behaved like socialists while the socialists behaved like capitalists. After examining the midcentury rise of cybernetics, the science of self-governing systems, and the emergence in the Soviet Union of economic cybernetics, Peters complicates this uneasy role reversal while chronicling the various Soviet attempts to build a “unified information network.” Drawing on previously unknown archival and historical materials, he focuses on the final, and most ambitious of these projects, the All-State Automated System of Management (OGAS), and its principal promoter, Viktor M. Glushkov. 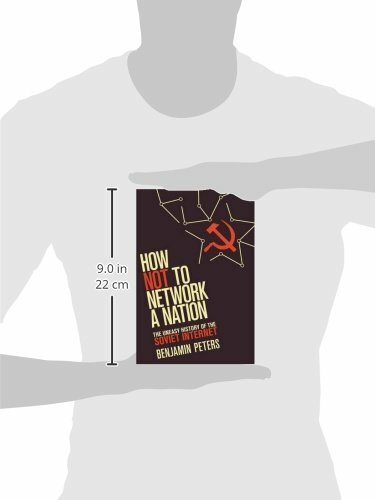 Peters describes the rise and fall of OGAS?its theoretical and practical reach, its vision of a national economy managed by network, the bureaucratic obstacles it encountered, and the institutional stalemate that killed it. Finally, he considers the implications of the Soviet experience for today's networked world.